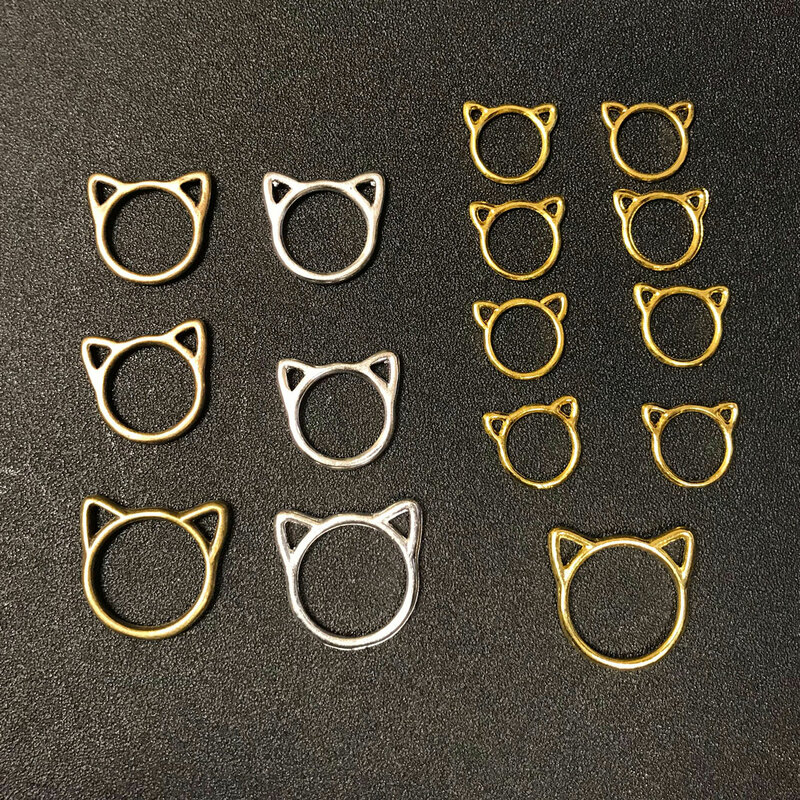 These kitty stitchmarkers are the purr-fect addition to your knitting accesories! 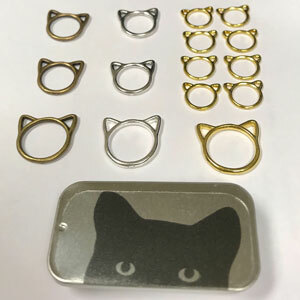 Each pawsome tin (available in 4 spe-cat-ular designs) comes loaded with 15 meow-velous cat stitch markers in 3 sizes and an assortment of metal finishes including gold, bronze, and silver. You can also view all Creating With Sticks Stitch Markers. 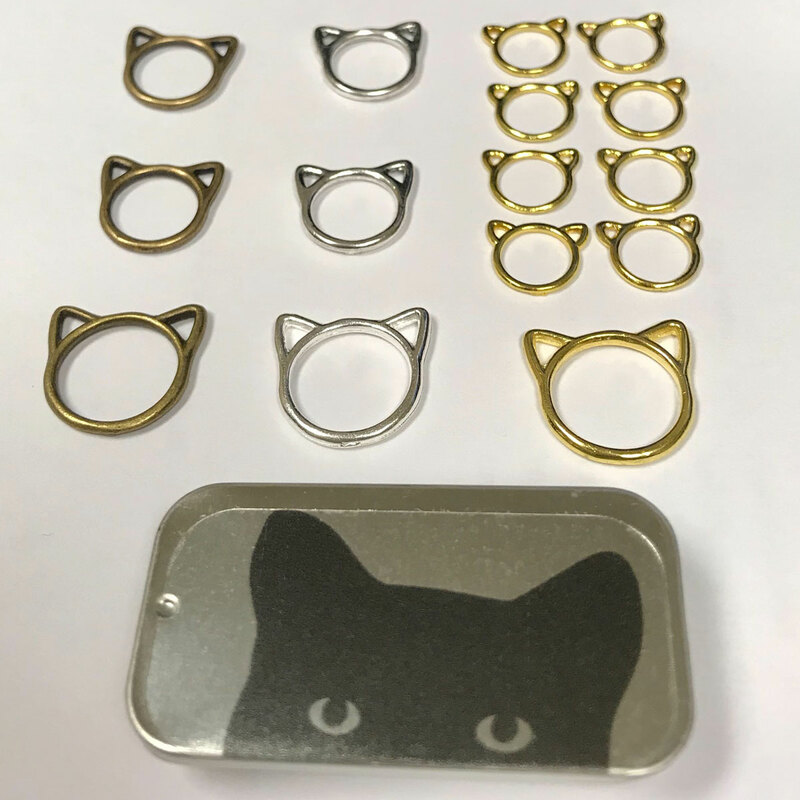 Pack of 15 cat-eared stitch markers [3 large (15 mm), 4 medium (12.5 mm), and 8 small (10 mm) round markers] in a metal tin. Overall Stitch Markers Rating: Not yet rated.